If you’re craving for durians this durian season, and want to be a bit posh about it instead of getting your hands dirty, you might want to check out Marriott Cafe’s Durian Lover’s Dream High Tea. 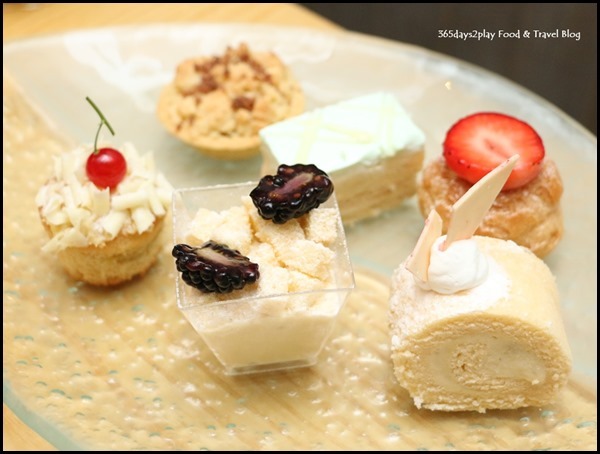 From now until 9 August 2017, Marriott Cafe will be offering a High Tea buffet spread featuring a number of sweet and savoury durian creations, alongside their usual local and international dishes. 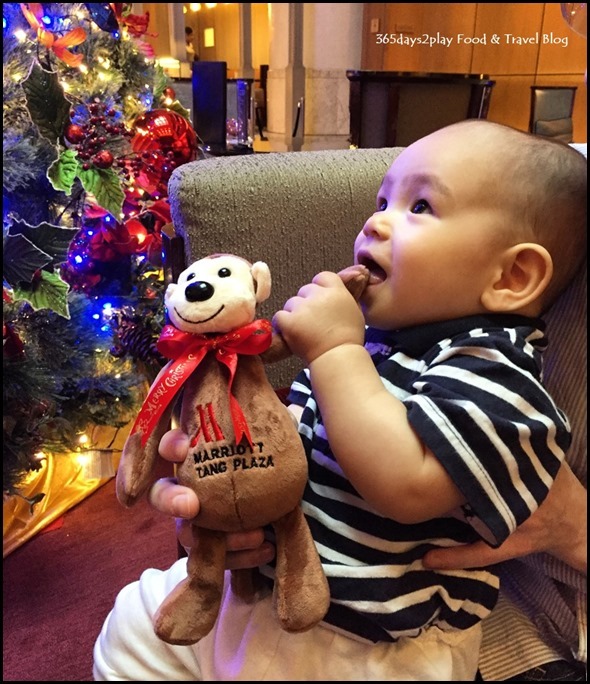 Scroll down for more pictures, reservation information and reviews of other Marriott F&B outlets. 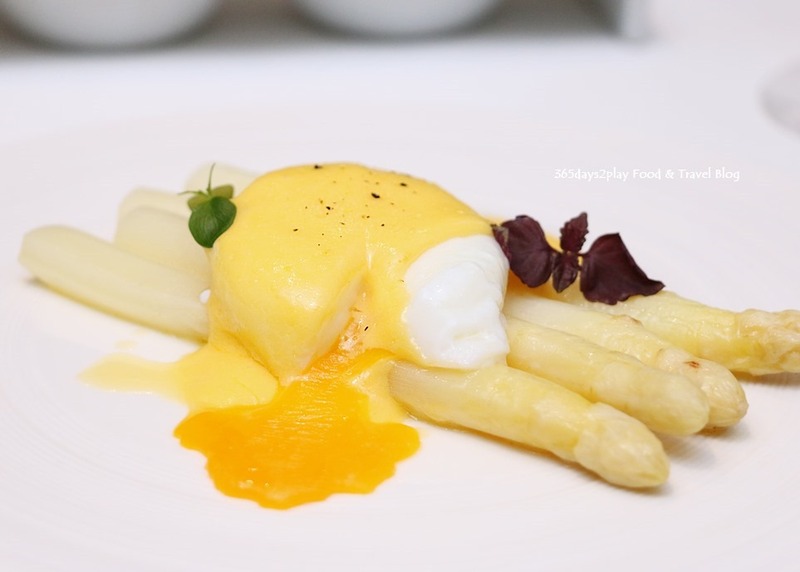 White asparagus season again with Marriott Pool Grill–And the steaks are perennially good! It’s white asparagus season again, so for those of you who love white asparagus, now’s the time to indulge when these beautiful stems are at their best. And for those of you who have never tried white asparagus, I highly recommend you to, not least because of the nutrients that’s packed in them. They are juicier, more tender and sweeter than the green asparagus variety. 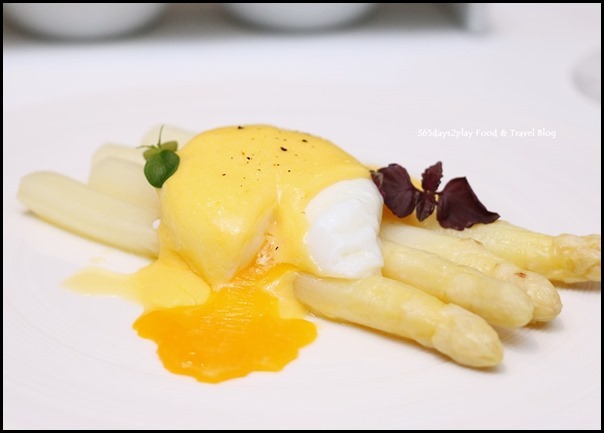 From now until 30 April, you can sample white asparagus at Marriott Pool Grill, specially flown in from the Netherlands. There are 3 ala-carte dishes to choose from. This is the most affordable dish if you just mainly want to sample the white asparagus in its full glory. The creamy and buttery poached egg goes really well with the juicy sweetness of the asparagus. 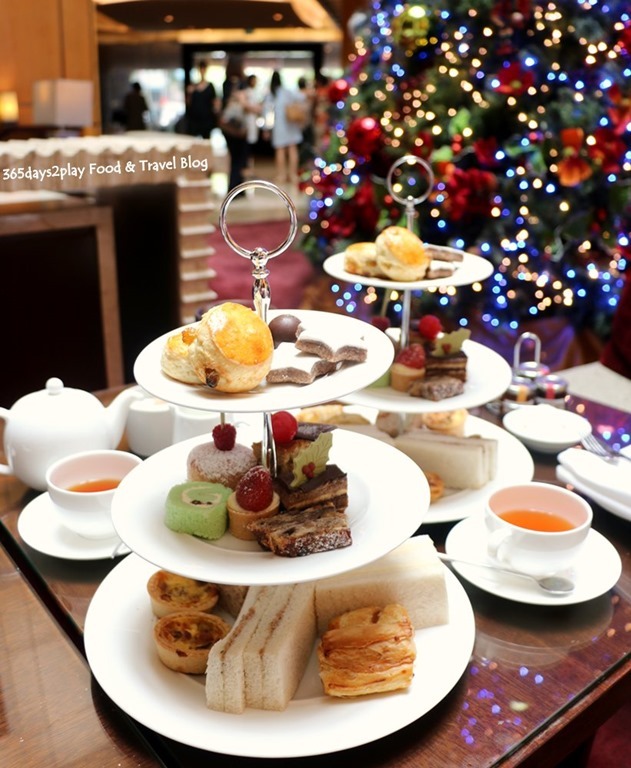 If there’s one thing I love doing during the Christmas season, that’s having afternoon tea. There is an unexplainable pleasure just sitting around sipping cups of tea and savouring dainty morsels amidst Christmassy decor. I’ve been meaning to visit Marriott Hotel for its Afternoon Tea as they have the 1-for-1 promo using the Entertainer App. Good to know that the promo was still applicable during the festive period. Did a spot of shopping at Tangs before and after our afternoon tea. What a really convenient location to rest your feet for a while, say if you’re waiting for a ride home or waiting for a friend. Edward’s 4th afternoon tea outing (previous ones were Goodwood Park Hotel, Grand Copthorne Waterfront and Chef’s Table at Capella Sentosa). He loves going out because of all the attention he gets, and for some reason, he loves people watching too! He especially loves watching people deep in conversation, wonder why? He had an early Christmas gift too, a little Marriott Tang Plaza monkey soft toy, which he promptly decided to lick…. Ok here are the pictures of the afternoon tea. The teas are refillable and you can also order as many different pots of tea as you wish. We were pleasantly surprised to find out that the food items were refillable, as it wasn’t stated on the website! 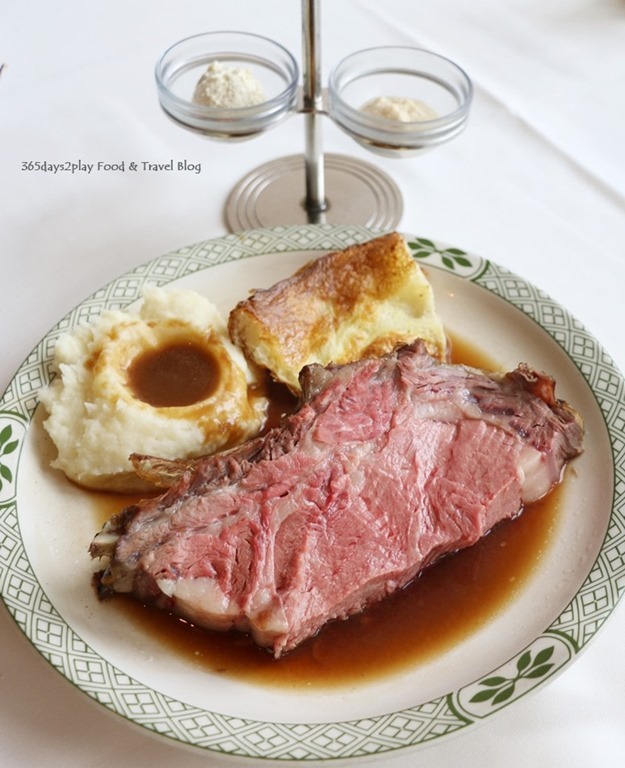 Even though there are many steakhouses and restaurants serving steak in Singapore, we still like to go back to Lawry’s The Prime Rib every so often, for the simple reason that the steak is consistently good, and we like the steak there. 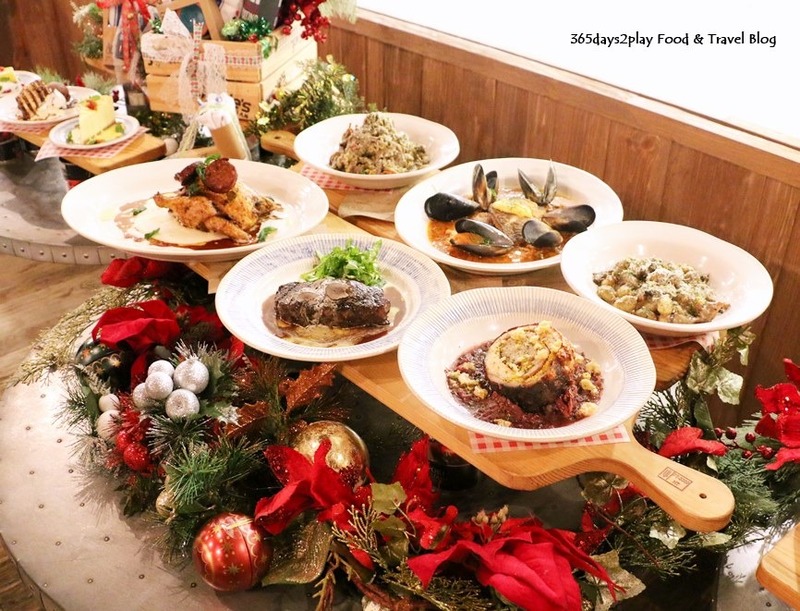 Yes, even food bloggers crave consistency once in a while, especially when you have a baby in tow and need to know that the restaurant is spacious. Specifically, I like the Prime Rib at Lawry’s. The steak is always tender, and it comes with a whole pool of special gravy that I like, and it’s one of the few places that provides creamy mustard as a condiment! I could eat dollops of that creamy mustard, it’s so good! It’s not at all cheap to dine at Lawry’s, but if you have the AMEX or CIMB credit card, you could get 50% discount if it is just 2 pax dining. Click here to see all their promotions. They are also having a Christmas menu. Scroll down to see the entire menu.